Learn Everything about the all the different wine grapes used in the production of red Bordeaux wine, dry white Bordeaux wine and which grapes are placed in sweet Bordeaux wine. Bordeaux wine gains its unique character and flavor profile from a combination of the grapes planted in the vineyards, the terroir and soil of Bordeaux, climate and the choices made by the wine maker. But it all starts in the vineyard with Bordeaux wine grapes. First off, it’s important to note that a large part of what makes Bordeaux wine great, is that 99% of all the top wines are produced from blends of different grape varieties. Even though the Bordeaux wine being made today bears little resemblance to the wines produced in the region when the 1855 Classification took place for much of the appellation, the best wines of Bordeaux have always been produced using a blend of different grapes. It’s the whole of its parts that comes from blending grape varieties that creates the magic tasted in Bordeaux wine. There are a few stunning 100% Merlot wines from Pomerol and St. Emilion, but the vast majority of the time, Merlot, due to its rich, opulent textures is the perfect pairing for blending with the more tannic, firmer Cabernet Sauvignon grape. Keep in mind, the terroir and climate in Bordeaux is much different than you find in California, so while wines from 100% Cabernet Sauvignon are sublime from regions like Napa Valley, on its own, Cabernet Sauvignon planted in the gravelly terroir of Bordeaux is too hard and austere. But when blending with other grapes, the wine gains in complexity in the nose and more importantly, the textures and mouth feel of the wine at its best develops elegance and opulence and silky, velvet textures. While Cabernet Sauvignon and Merlot are unarguably the two most important grapes used in Bordeaux blends, you can also find varying amounts of Cabernet Franc, Petit Verdot and Malbec in the blends. But that wasn’t always the case as you will see. By clicking on any of the following links on the left side of the page, you can read more detail on what each specific Bordeaux wine grape varietal provides in the process of making red Bordeaux wine, white Bordeaux wine and sweet Bordeaux wine from Sauternes, as well as what you will find in the flavors, character and styles of the wine. It is thought that prior to the attack of Phylloxera, which began in Bordeaux in 1869, peaking by about 1880, that the best vineyards in the Medoc, with their gravel soils were already heavily planted to Cabernet Sauvignon. However, at that time, there were also larger percentages of Petit Verdot, Malbec and Carmenere that were widely grown throughout the region than you have today. Outside of the Medoc, those varieties probably took up a larger percentage of the vineyards in the lesser terroirs. By the late 1800’s, that was set to change. After the phylloxera epidemic that devastated much of the Bordeaux, as well as vineyards all over Europe, Cabernet Sauvignon, Merlot and Cabernet Franc became the dominant Bordeaux wine grapes for the region. Petit Verdot, Malbec and Carmenere were rapidly being phased out. That trend continued following the devastating frost of 1956, with more plantings of Cabernet Sauvignon in the Left Bank, and more Merlot being planted in the Right Bank. In total, there are 10 allowable grape varietals allowed by AOC law that can be used for the production of Bordeaux wine. That breaks down to 6 grapes for making red wine and 4 grapes that can be used in the production of white Bordeaux wine. Of course growers in Bordeaux can plant any grape variety they want in their vineyards. But if they do not plant the grapes allowed by AOC law, they will need to sell their wine as a simple Vin de France. Most Bordeaux wines are blends that include one or more noble grape varieties. A noble grape is a grape that can produce great wine, without blending. However, as will learn, the vast majority of Bordeaux wines are produced from blends. As you now know, when it comes to blending, there are exceptions to every rule, depending on the appellation. For example, there are several wines made from 100% Merlot in Saint Emilion and a few in Pomerol as well that are some of the best wines made in all of Bordeaux. A few estates make dry, white Bordeaux wine from 100% Sauvignon Blanc and some chateaux produce sweet white wine from 100% Semillon too. But in large part, it is the blending of grape varieties that produces wines that are the heart and soul of the Bordeaux wine region. Each Bordeaux grape varietal adds a different character to the wine. Those characteristics are shaped by the main components provided by the fruit, tannin, acidity and alcohol. It is the balance of those three elements that produce a great wine. Grapes are incredibly complex fruits offering a myriad of flavors, aromas and character which offer Bordeaux wine its personality, beginning with the ability to age, evolve and improve in the bottle. Much of that starts with tannin. Tannins found in wine come from the seeds, stems and skins from the Bordeaux wine grapes, as well as from aging in oak barrels. Tannins give a wine structure. They act as a preservative. When ripe, they shape and define a wine and its textures, along helping to provide enjoyable tactile sensations on the palate. When unripe, they offer an experience similar to sucking on a lemon. They can dry your mouth and, or offer a rustic feeling to the wine. Tannins are more important to red wines than white. The level of the tannins versus the fruit, as well as the ripeness and style of the tannins help shape a wines personality. Acidity is a key component in a wine. Acidity allows the wine to feel fresh and uplifting instead of flabby. Flabby wines do not feel good. They can be too sweet, with sensations similar to syrup. Too much acidity is not healthy for a wine either. The wine will taste and feel too bright and sharp. Of course much of this is in the eye of the beholder, as some wines offer higher acidic profiles than others. Wines grown in warmer climates are naturally lower in acidity than fruit planted in cooler climates. Alcohol is the final part of the component trio. Alcohol is the product of fermentation. This natural process takes place when the sugars found in the fruit are converted to alcohol. The level of sugar found in the berries is the main factor in determining the level of alcohol a particular wine will have. Grapes grown in warmer weather will naturally produce wines higher in alcohol. 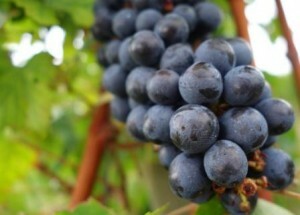 Some grape varieties will also ripen with higher sugar levels. 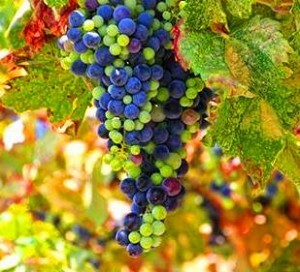 For example, Merlot will always ripen with higher sugar levels than Cabernet Sauvignon. Those qualities, characteristics and of course the grapes are used to create the famous Bordeaux blend. The only requirement to make a Bordeaux blend is that it include at least two of the main Bordeaux varietals, Cabernet Sauvignon, Merlot and Cabernet Franc. The term Bordeaux blend does not only refer to the wines of Bordeaux. Numerous countries produce wine from the same grapes to make their own, unique Bordeaux blend. Wines from Bordeaux blends are quite popular in the Napa Valley in California, (Where it can be referred to as a Meritage wine) Washington State, Oregon, Virginia and other wine producing regions in the United States. Australia, Italy, Canada, New Zealand, China, Chile, Argentina, Brazil and Peru are just a few countries that make wine using the grapes needed to produce Bordeaux blends. Wine made from Bordeaux styled blends are also referred to as Left Bank blends are dominated by Cabernet Sauvignon. Right Bank blends, are made primarily from Merlot or Cabernet Franc. Both Left Bank and Right Bank styled wines can be referred to as Claret. Claret is another name for Bordeaux, which comes from the old English term of clear red wine, which was how some Bordeaux was bought and sold more than one 150 years ago. While the most famous wines of the Bordeaux region are red, Bordeaux also produces numerous dry white Bordeaux wine and sweet, white Bordeaux wine in a wide array of styles. To give you an idea of the breakdown, close to 90% of all Bordeaux wine is devoted to growing grapes to produce red wine. White Bordeaux wine, most often referred to as Bordeaux Blanc is produced from blends featuring mostly Sauvignon Blanc, Semillon and Sauvignon Gris. 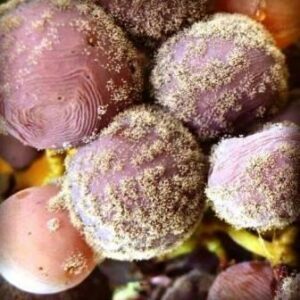 Although, you find Muscadelle in minor amounts included in the blends for the sweet, white wines of Sauternes and Barsac. However, a very, small amount of odd white wine grapes are also planted in less prestigious areas in the Bordeaux region. For example; Colombard, Folle Blanche and Ugni Blanc. Those grapes are used in the production of inexpensive, white Bordeaux table wine. For example, you can find wines from those varietals planted in the Entre deux Mers and Cotes de Blaye appellations. While numerous estates are famous in Pessac Leognan for making dry, white Bordeaux wine, several Bordeaux chateaux in the Medoc produce a small amount of dry, white, Bordeaux wine. The white Bordeaux wine from the Left Bank is sold under the designation of Bordeaux. Due to the cooler terroir, the southern most soils from the Margaux appellation produce more Bordeaux Blanc, Chateau-Margaux, Chateau Prieure Lichine and Chateau Palmer are the most famous estates making white Bordeaux wine. In St. Julien, Chateau Talbot and Chateau Lagrange produce dry, white, Bordeaux wine. Chateau Mouton Rothschild makes Aile d’Argent and Chateau Lynch Bages, as well as Chateau Cos d’Estournel also make dry, white Bordeaux wine. Sauvignon Blanc is the dominant grape used in the better, dry, white, Bordeaux wines. 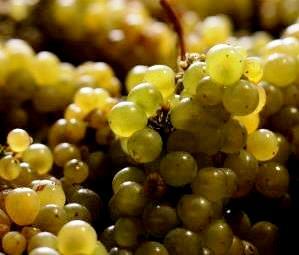 To make the famous, sweet, Bordeaux wine of Sauternes and Barsac, Semillon is king, due to what takes placed when the fruit is attacked by botrytis, also known as noble rot. For the production of sweet Bordeaux wine, while some estates use 100% Semillon, the more common practice is blending in some percentage of Sauvignon Blanc and for some estates, small amounts of Muscadelle. Of course the terroir and soils found in Bordeaux add to the expression of the grapes. Bordeaux is a large region. But you can look at it in a simplified manner. Each of the grape varieties grow on both banks and in Pessac Leognan. However, in the Left Bank and Pessac Leognan Cabernet Sauvignon is king, followed by Merlot. In the Left Bank and Pessac Leognan, the best soils are deep gravel and gravel with clay. In the Right Bank in Pomerol, where Merlot dominates the region, clay is most often the preferred soil type, although depending on the specific terroir, gravel can also play an important role.